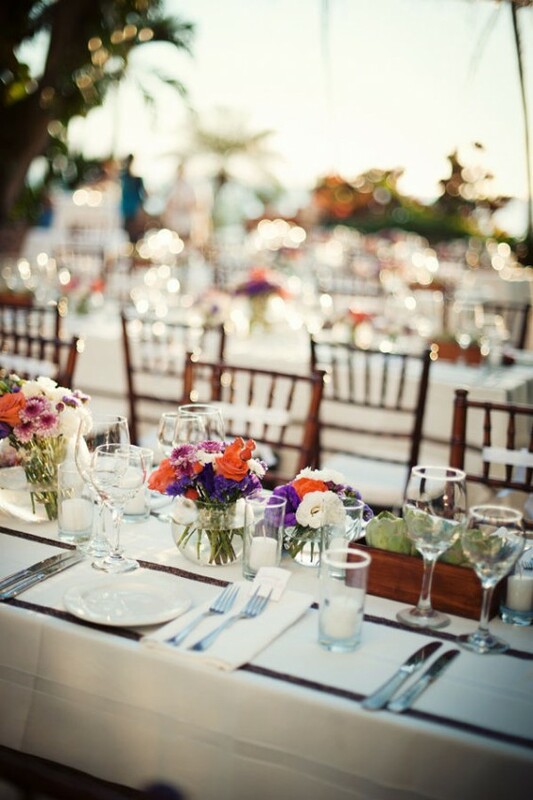 We’re always thrilled to see the beautiful and creative wedding ideas that come out of our resorts! 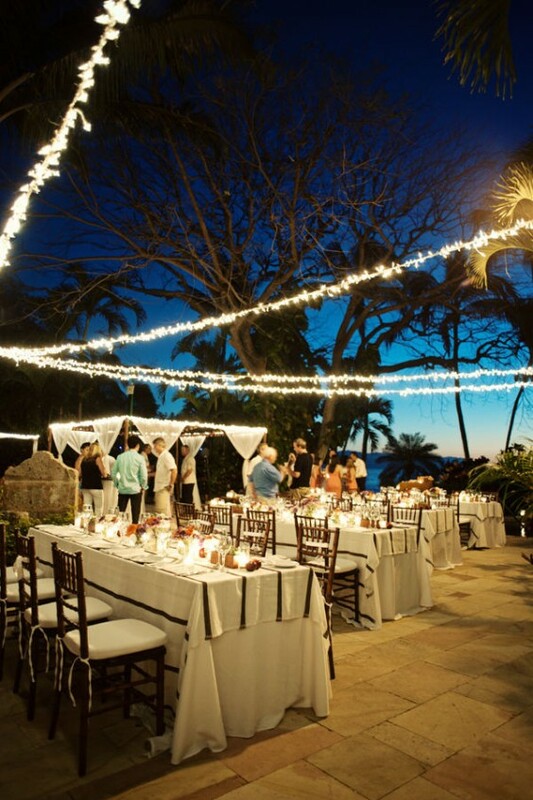 In fact, we were delighted when we stumbled on this blog post over at Style Me Pretty Destinations, a blog and resource site devoted to destination weddings. The article focuses on Bride Bailey and Groom Chad, who recently got married at Dreams Puerto Vallarta Resort & Spa. 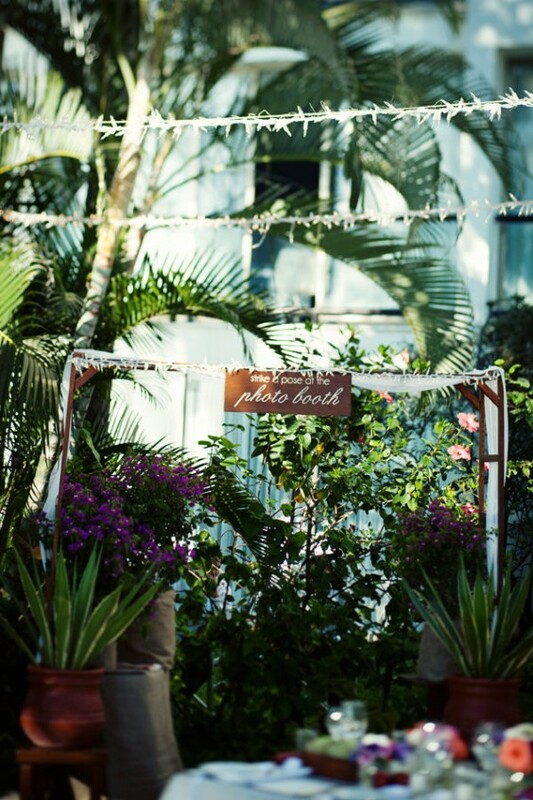 The resort provided the perfect backdrop for their event, and all the details and scenery were captured impeccably by photographer Jillian Mitchell. The couple certainly embraced the beauty of the Riviera Nayarit and were able to create a uniquely personalized ceremony and reception that really wowed their guests (and us!). Take a look, and we think you’ll agree that this was indeed a fairy tale wedding! 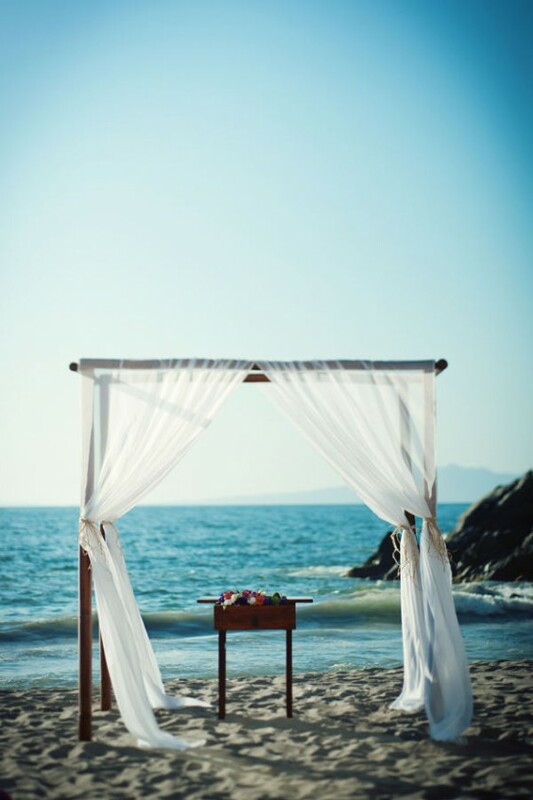 The ceremony took place on the beach, framed by the Pacific Ocean and the Sierra Madre mountains. Lush jungle surroundings provided the perfect scenery for photos. 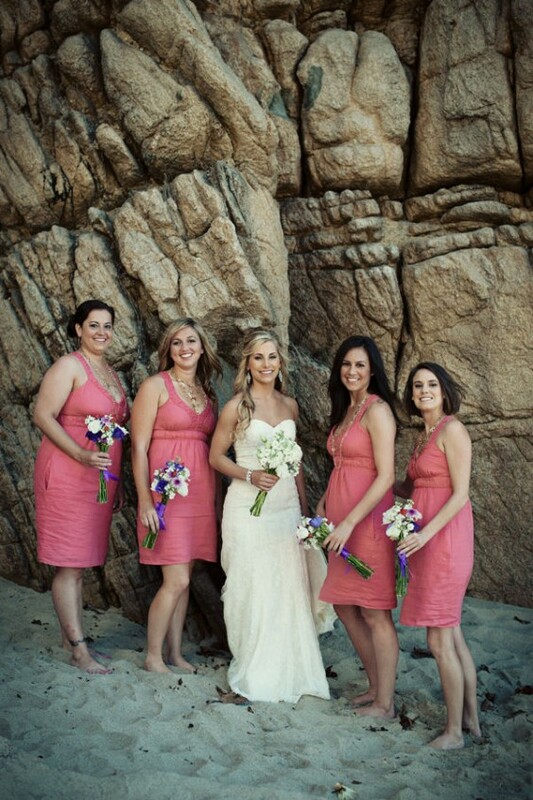 The couple used the natural cliff-face as a backdrop for formal portraits. The centerpieces and arrangements utilized authentic Mexican flora. The patio at night was a perfect place to view the setting sun. For more photos from Chad and Bailey’s Mexican nuptials, visit the complete gallery on Style Me Pretty! This entry was posted in Dreams Puerto Vallarta and tagged beach wedding, Destination Wedding, fairy tale wedding, Jillian Mitchel, Mexico, Puerto Vallarta, real wedding, Riviera Nayarit, Sierra Madre Mountains, Style Me Pretty, wedding photography, wedding photos. Bookmark the permalink.